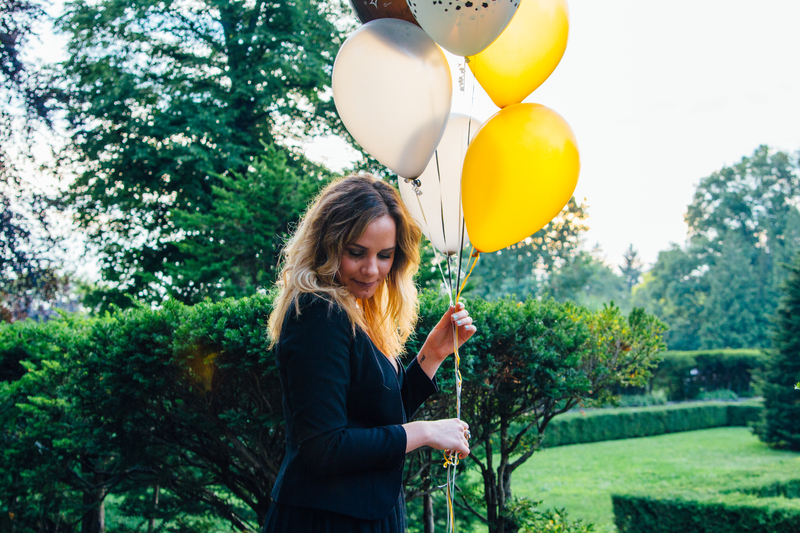 Today’s post is a special one… because it’s my birthday! I was born on July 17, 1993 at approximately 7:19 pm. So yes, if you’re asking… I am feeling 22. The theme of this shoot was all black, very edgy Carrie Bradshaw with a twist of Vogue. Adding in black, silver and gold balloons and the beautiful backgrounds of High Park in Toronto, it turned out better than I imagined. 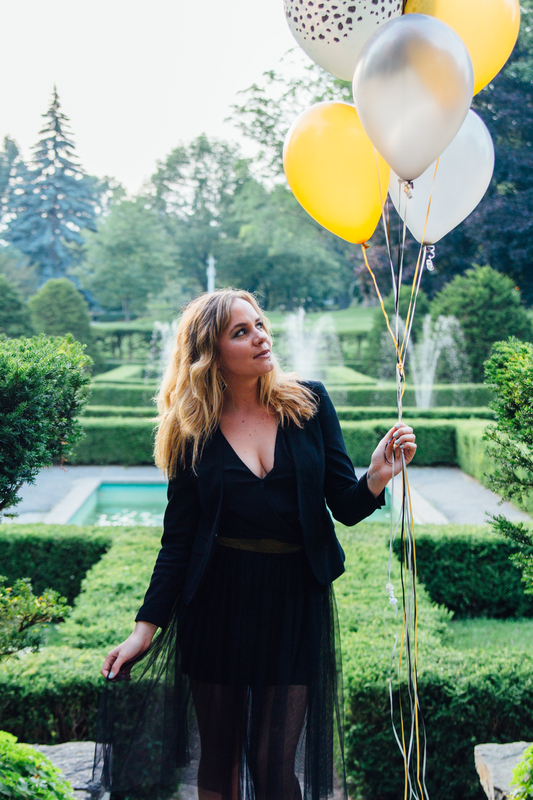 Shooting with balloons is actually a lot harder than it looks… at first I had no idea how to pose and what to do with the hand holding them. I was super excited to wear this black tulle skirt from Forever 21. I bought it back in November, and to this day have never worn it. Guess I was just waiting for the right occasion and appropriate look to pull it off. I paired it with a low cut, crop top from Bebe and a black blazer from Forever 21, adding in a simple pair of peep toes from Nine West.